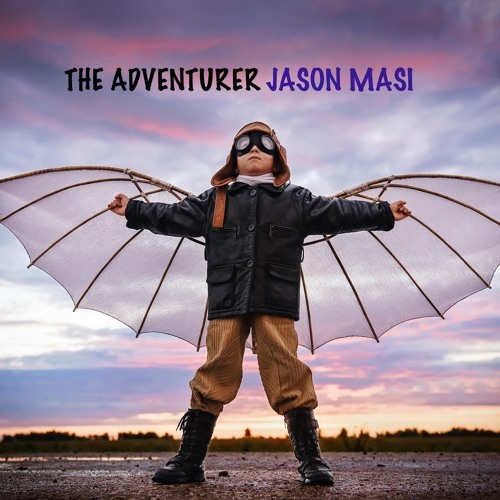 Home / brand new / brand new artist / Jason Masi / música / Jason Masi Unveils New Single "The Adventurer"
Jason Masi Unveils New Single "The Adventurer"
American singer-songwriter Jason Masi has just unveiled his brand new single The Adventurer, a cool pop/rock song about living life to the fullest. I am a sucker for acoustic guitars and as soon as I heard this song I knew I was going to love it. I really enjoy the tone of Jason's vocals which soar over the infectious production. The song's acoustic guitar-driven melody slowly builds into an americana/folk-infused pop/rock anthem with groovy electronic guitars and drums which create an absolutely infectious chorus perfect to sing along to. There's somewhat of a summery vibe that I get from the song and it is just a pleasure to share it with you guys. Stream it below! I wrote this song when I was feeling particularly adventurous. There are times when I am craving the most explorative and exciting life possible and this song imagines that reality. Certainly, I’ve experienced many exciting adventures in the time I’ve been on this earth, but when I think about how much more I want to experience -all the places I want to go - all the things I want to see, I sometimes worry those experiences will never come to pass. This song is a reminder to myself to experience as much as possible in the time I have here, because life is definitely short, and it’s meant to be lived to the fullest. It’s also a reflection of how when we’re young, we have these big dreams and as we get older, if we let it, life can chip away at those dreams until they no longer exist. I want to dream big until the day I die, and when I reflect on my experiences, I want to know that I didn’t let my challenges get the better of me. Jason got his start with Jubeus, a Richmond, VA based group, opening for acts like Blind Melon, Everclear, and SOJA and releasing two well-received albums, Two Tone Circles (2004) and Natural Mood (2007) respectively. Performing Songwriter Magazine (Issue 107 - January/February 2008) named the latter as a top DIY (Do-It-Yourself) release.